An unforgettable experience awaits you in India. From remarkable temples, forts and palaces whose stories encapsulate so much that defines India and make it unique; to the poignant sight of pilgrims bathing on the banks of the holy Ganges; and the breathtaking symbol of enduring love, the Taj Mahal. Quite frankly, one trip cannot possibly encompass the seemingly endless array of attractions this incomparable country has to offer. 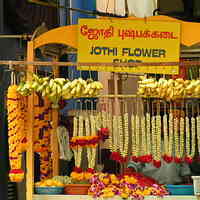 Add to this, its irresistible allure and it is obvious why so many travellers, having fallen under its spell, seek to return to India time after time. Focus on one part of the Country to make the most of it - and to allow you to plan your return! Hotel standards in India vary tremendously, from cheap and cheerful guesthouses to luxurious hotels of converted palaces. Our tours are based on a minimum of 3* accommodation, so you won't be sharing with the backpackers! Our range of tours take in the very best that India has to offer, and range from 2 to 14 nights - we have many more options available than just those shown here. Tours are available in their own right, or with a beach extension, or as a side trip from Goa. 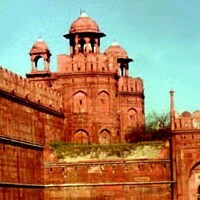 India Touring holidays featured on this website are based on departures from London Heathrow to Delhi. Goa beach holidays and Tour plus Beach holidays are based on departures from London Gatwick to Goa every Friday. Manchester to Goa departures also operate every Thursday. Other flight options may also be available - call for details. 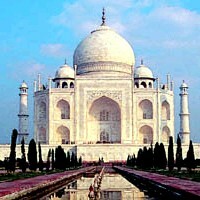 Have a look at our range of touring options in India. If you see something of interest call one of our friendly reservations staff on 020 8989 0970, or fill in a quote and we'll check availability and get back to you. If you're not sure what's best for you, ask to speak to one of our staff for ideas and inspiration.